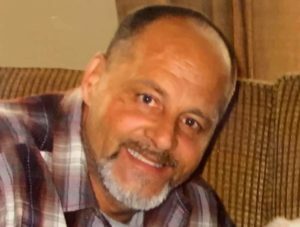 Steven R. Larson, 58, of Lincoln, passed away March 7, 2019 at St. John’s Hospital, Springfield. 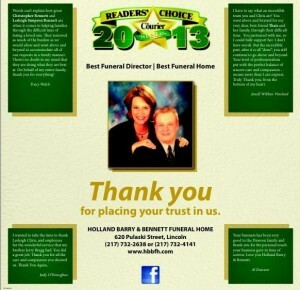 Cremation rites have been accorded by Holland Barry & Bennett Funeral Home. There will be no services at this time. Steven was born August 31, 1960 in Joliet, IL., the son of Carl and Doris (Prynn) Larson. He was formerly employed at Trinity Industries as a Welder, Lincoln College in Maintenance, and Lincoln Christian University in Food Service. He attended St John’s United Church of Christ. He was ainterested in sports. Surviving are his children: Karl Larson, Cecelia Larson, and Raven Arch; 1 grandchild; and sisters Maureen White and Sandra Bell. Through Gift of Hope Organ and Tissue Donation, Steven has given the gift of life to several people.